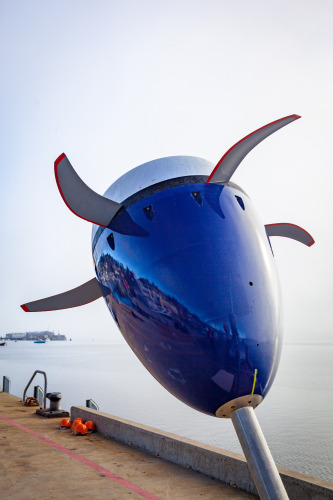 The turbine was installed in the Tamar estuary in Launceston, Tasmania (image courtesy of MAKO Tidal Turbines). The tidal energy turbine being deployed (image courtesy of MAKO Tidal Turbines). 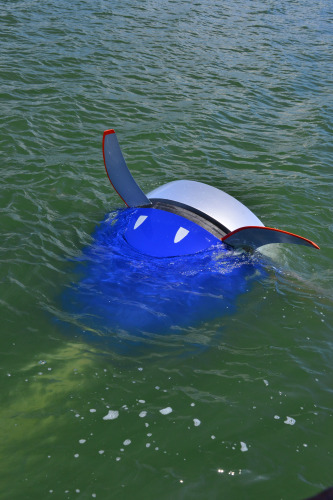 A tidal energy turbine has been installed in the Tamar estuary in Launceston, Tasmania, as part of a project to investigate and optimise the device's performance. Researchers at the Australian Maritime College, a specialist institute of the University of Tasmania, will conduct field experiments with a 2.4 metre-wide prototype in partnership with Sydney-based developers MAKO Tidal Turbines. Tasmania is seen as a location with huge renewable energy potential, says the company, and the site near Reid Rock was selected because of the ideal speed of the current. The turbine is secured beneath a floating platform and connected to a mooring on the east side of the estuary. AMC project lead, Associate Professor Irene Penesis, said tidal energy was a particularly exciting form of renewable energy, and completely predictable compared with solar and wind power due to its consistent cycles. "Tidal power has the capacity to generate electricity that could become part of the energy mix for local industries, small communities, coasts and islands," said Professor Penesis. Having undertaken extensive tow tank testing with AMC, MAKO Tidal Turbines will be carrying out research into how full-scale turbines operate in a real-world environment, and to confirm their low environmental impact. The testing will include the influence of turbulence and biofouling (organisms growing on the turbine), which may impede performance and affect the longevity of the device. MAKO Turbine's Managing Director, Douglas Hunt, explained how Australia stands to benefit from the partnership's activity. "Tidal is set to become a key part of the energy mix worldwide and our work here with AMC means Australia will continue to play a key role in this emerging global industry," Mr. Hunt said.